Bruder Toy John Deere 7930 Tractor. 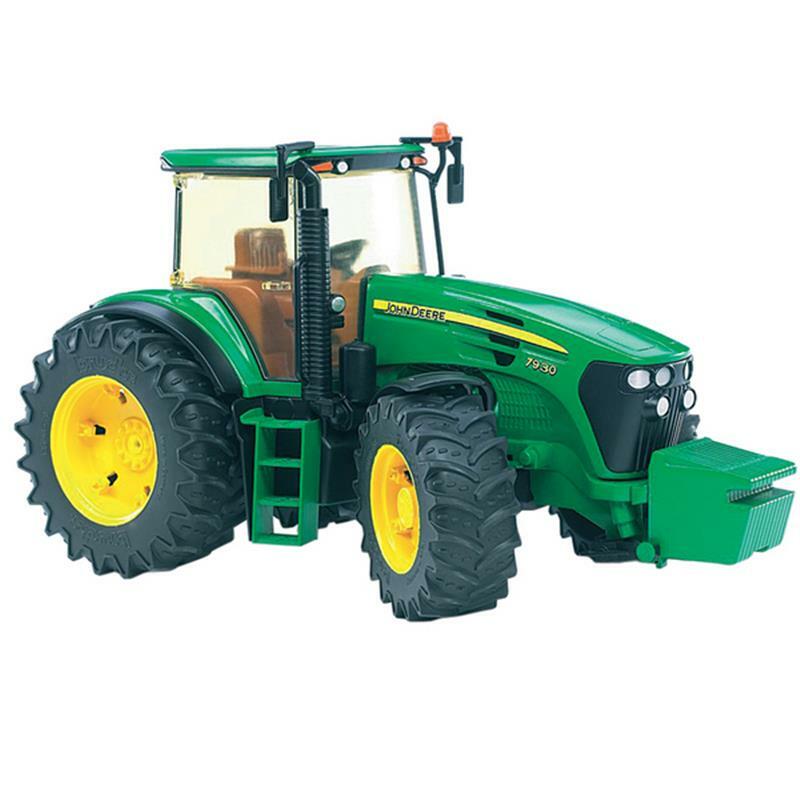 Bruder Toy John Deere tractor featuring fully glazed cab & opening cab door, functioning steering wheel, floating front axel, realistic tyres & tread, working pick up hitch & removable front weights. Scale: 1:16.